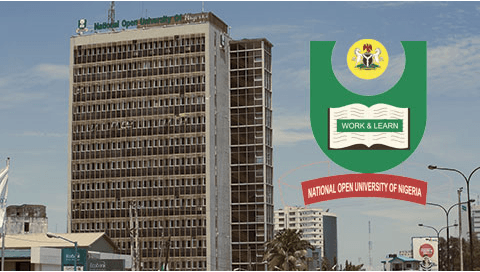 Here’s the NOUN List of Study Centres, including their office Address in Nigeria. 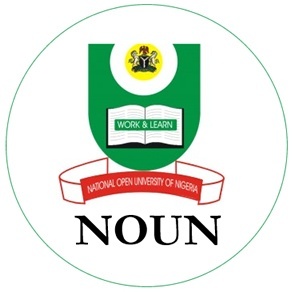 Please take note that these NOUN study centres are situated in almost the 36 states of Nigeria, with each states having up to 2-4 Study centres all over Nigeria. 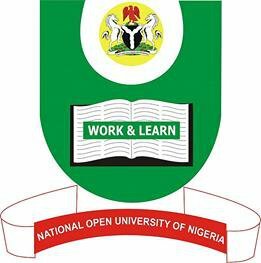 We’re happy to bring before you, the National Open University of Nigeria (NOUN) study centres nationwide in all the 36 states of Nigeria. Please take note, that you can easily download and read/study the printed course materials anywhere you choose, either in your home, in an environment which is convenient to the student or at some designated places, which are known called Study Centres. These are places located across the geopolitical zones of Nigeria. North East 1 BAUCHI STUDY CENTRE NOUN Study Centre, Former NRC Building Federal Low Cost Housing Estate. Bauchi Bauchi State. 2 YOLA STUDY CENTRE NOUN Study Centre, Army Barracks Road, Yola. 3 MAIDUGURI STUDY CENTRE NOUN Study Centre, Baga Road P. O. Box 548, Maiduguri, Borno State. 5 JALINGO STUDY CENTRE NOUN Study Centre, Education Resource Centre, Former T/C Staff Quarter Jalingo, Taraba State. 6 GOMBE STUDY CENTRE NOUN Study Centre, After All Saints College, Gombe Federal Low Cost, P. M. B 0163, Gombe. 7 COMMUNITY STUDY CENTRE, GULAK NOUN Study Centre, Former SDP Party Secretariat, Maiduguri – Mubi Express Way. North West 8 KANO STUDY CENTRE NOUN Study Centre, Independence Road, Sauna-Dakata, Kano. 9 DUTSE STUDY CENTRE NOUN Study Centre, 3rd Floor Federal Government Secretariat. Kiyawa Road, Dutse. 10 GUSAU STUDY CENTRE NOUN Study Centre Federal College of Education (Technical), Zaira Road, Gusau. 11 KADUNA STUDY CENTRE NOUN Study Centre, Kaduna Campus (old NETC) by Trade Fair Complex, KM 4 Zaria Road, Kaduna. 12 NOUN Special Study Centre, Nigerian Air force NOUN Study Centre, 325 Ground Training Group, Nigerian Air Force Base, Kaduna. 13 SOKOTO STUDY CENTRE NOUN Study Centre, Shehu Shagari College of Education, Sokoto. 15 KATSINA STUDY CENTRE NOUN Study Centre, After Katsina State House of Assembly, Kaita Road, Katsina State. North Central 16 JOS STUDY CENTRE NOUN Study Centre, Lomay International Hotel Road, P.M.B.0983, Bukuru, Sabon Barki, Jos. 17 ILORIN STUDY CENTRE NOUN Study Centre, Kulende Housing Estate, Ilorin. 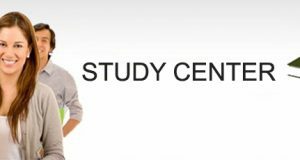 19 ABUJA STUDY CENTRE NOUN Study Centre, 5 Dar-E-Salaam, (Off Amino Kano Crescent) Wuse II Abuja. 20 NOUN Special Study Centre, Nigerian Public Service Institute NOUN Special Study Centre, Public Service Institute of Nigeria (PSIN) Study Centre, Kubwa Express Way, Dutsen Alhaji Abuja. 22 NOUN Special Study Centre, Nigerian Prisons Services NOUN Study Centre, Bill Clinton Avenue, Sauka, Abuja. 24 NOUN Special Study Centre Nigeria Prisons, Port Harcourt NOUN Special Study Centre, Port Harcourt Maximum Prisons. 25 NOUN Special Study Centre Nigeria Prisons, Kirikiri NOUN Special Study Centre, Kirikiri Maximum Prisons. 26 NOUN Special Study Centre, Nigerian Security and Civil Defense Corps (NSCDC) NOUN Special Study Centre, Civil Defense Academy, Sauka-Abuja. 27 NOUN Special Study Centre, National Union of Road Transport Workers (NURTW). 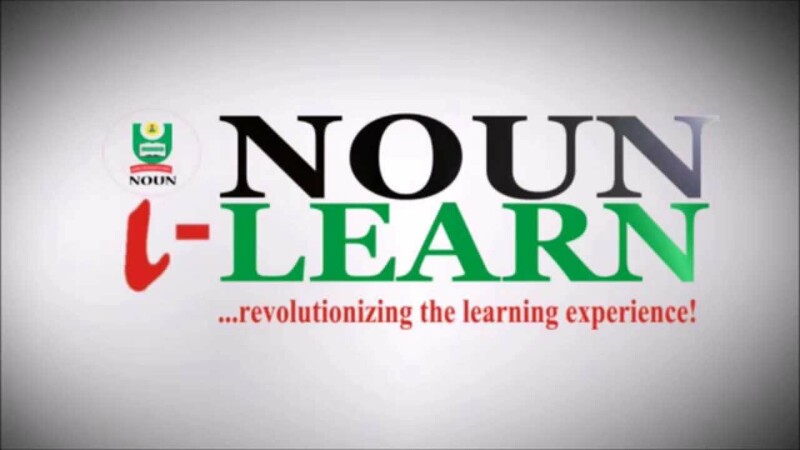 NOUN Special Study Centre, Plot 1236, Sepele Street, Garki II, Abuja. 28 NOUN Special Study Centre, Nigerian Police. NOUN Study Centre, Directorate of Police Education Complex (Beside Mopol Barracks) Suleja Express Way Dei dei, Kubwa, Abuja. 29 MINNA STUDY CENTRE NOUN Study Centre, NRC Secretariat, Opp Mariam Babangida Girls Science College, Bosso, Minna, Niger State. 30 MAKURDI STUDY CENTRE NOUN Study Centre, (Former NDE Office) Opposite Mechanic Village, Kanshio, Makurdi, Benue State. 31 OTUKPO STUDY CENTRE NOUN Study Centre, 59/ 60 Upu Road Otukpo, Benue State. 32 COMMUNITY STUDY CENTRE, OGORI NOUN Study Centre, Aiyeromi along Ogori-Ekpe Road, before General Hospital Ogori. 33 LOKOJA STUDY CENTRE NOUN Study Centre, Defunct NRC Secretariat, Opposite Bishop Dennis College, Lokoja, Kogi State. 34 COMMUNITY STUDY CENTRE, IYARA NOUN Study Centre, (Defunct Party Building Secretariat) Iyara – Kabba Road. 35 LAFIA STUDY CENTRE NOUN Study Centre, Bukan – Sidi, Jos Road, Lafia. 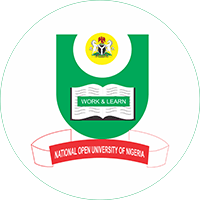 South East 36 OWERRI STUDY CENTRE NOUN Study Centre, c/o Federal Polytechnic, Nekedi, Owerri/Aba Road, P.M.B 1036, Nekede, Owerri. 37 UMUDIKE STUDY CENTRE NOUN Study Centre, National Root Crop Institute P M B 7296 Umuahia, Abia State. 38 ENUGU STUDY CENTRE NOUN Study Centre, Nike-Lake Road,Enugu, Enugu State. 39 AWKA STUDY CENTRE NOUN Study Centre, Defunct Party Building P. M. B. 2017, Abagana, Anambra State. South South 40 ASABA STUDY CENTRE NOUN Study Centre Federal College of Education (Technical), Asaba. 41 COMMUNITY STUDY CENTRE , EMEVOR NOUN Study Centre 72 Emevor-Ughelli Road , Emevor, Isoko North Local Government Area, Delta State. 42 CALABAR STUDY CENTRE NOUN Study Centre, Women Development Centre 37 Ekpo Archibong Street, old Parliamentary Village, Calabar. 43 UYO STUDY CENTRE NOUN Study Centre, 3 Mbaba Afia Street, Off Aka Road,Uyo., Akwa Ibom. 44 PORTHARCOURT STUDY CENTRE NOUN Study Centre, St. John Campus (Aba Road, near Garrison), Rumuolumeni PMB 5047, Port Harcourt. 45 BENIN STUDY CENTRE NOUN Study Centre, Ekenwa Road, (Old SDP Secretariat) Benin City, Edo State. 46 YENAGOA STUDY CENTRE NOUN Study Centre, Swali Road, Beside UBA Bank Yenagoa. South West 47 IBADAN STUDY CENTREo NOUN Study Centre, Former Party Secretariat, Faith Clinic Road Ijokodo Junction, Sango-Eleyele PMB 5061, Ibadan. 48 COMMUNITY STUDY CENTRE, AWA-IJEBU NOUN Study Centre, Ijebu Awa, East Local Govt. Area, Ogun State. 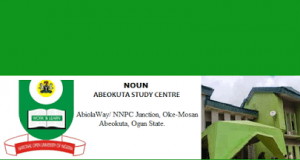 50 ABEOKUTA STUDY CENTRE NOUN Study Centre NNPC Mega Station, Ogun State. 51 AKURE STUDY CENTRE NOUN Study Centre, Old NRC Building Idanre Road, Ondo State. 52 OSOGBO STUDY CENTRE NOUN Study Centre, Beside St. Charles, Okedo, Former SDP Building, Ilesha Road, Oshogbo, Osun State. 53 LAGOS STUDY CENTRE NOUN Study Centre, NERDC, Agidingbi Beside Fela Shrine, Ikeja. 55 NOUN Special Study Centre, Nigerian Navy NOUN Study Centre, Nigerian Navy NNS QUORRA, Apapa, Lagos. North West Centre For Educational Technology and Entrepreneurial Development (CETED) Old NETC, By Trade Fair Complex, KM 4 Zaria Road, Kaduna. However, if you have any questions, don’t hesitate to drop them here and we’ll be able to provide you, the support and answers you Need. 14/16 Ahmadu Bello Way, Victoria Island , Lagos Nigeria. Please, do help us share this information with your friends on Facebook, Twitter and Google+, using the share buttons below.